When we wear jewellery are we telling the world who we are, or telling ourselves who we are? Or are we just using necklaces and earrings to remember the loved ones who gave them to us? Turns out it’s all three, according to this fascinating article by science writer Jennifer Ouellette. She looks at how we use objects to reinforce our identity, although not always in the way other people might think. Some things like books, photos, and clothing may be chosen to project our image to the world. But just as often we surround ourselves with the things we love for our own psychological comfort. We often use jewellery, particularly, as what the social psychologists call a “feeling regulator” to remind us of loved ones. Based on what I’ve heard from customers, I think that article is spot on. Jewellery is almost a talisman for many of us. 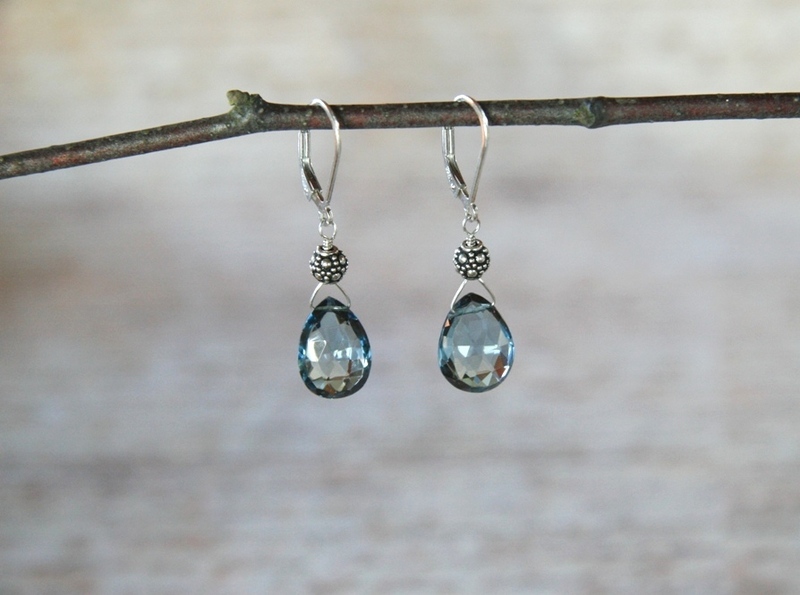 Customers often request pieces for themselves to mark special occasions like weddings or anniversaries. And they’re looking for quality that will last generations because they are collecting jewellery as future heirlooms. It also explains why the week before Valentine’s Day is always so darn busy — I’m selling a lot of “feeling regulators” before Friday. When you put it like that, it seems like awfully big job for a little pair of earrings. 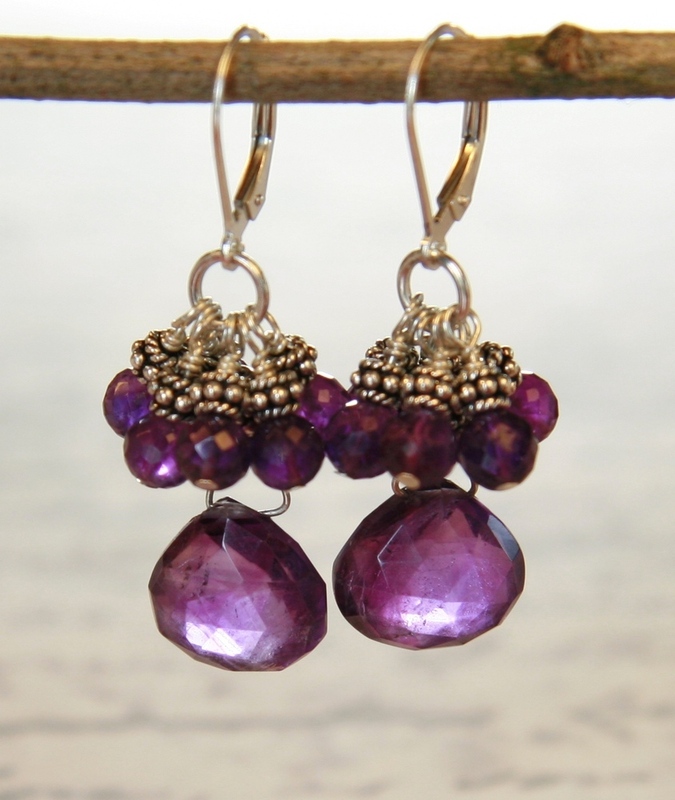 But the luscious amethyst drops, $110, have also been flying out of the shop.